Amazon App store is giving away Games and apps again for Free. They are also giving away a paid game or application every day for free too. So it is always good to have theat installed on your phone. 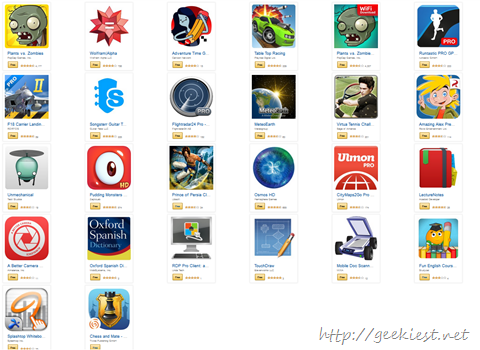 The applications installed will require Amazon App Store in your device. Fun English Course - Language Learning Games for Kids Aged 3-10. Tags : Free, Full Version, genuine license free, Giveaway, android, Amazon, amazon app store, free games, free mobile applications.